The beautiful Siamese cat is one of the earliest known and recognised breeds of cat believed to originate in Siam (now Thailand). It is now one of the most popular breeds of cat and makes a wonderful pet. Their nature is friendly, extrovert and highly intelligent. They love human company and should never be left alone for a long time. 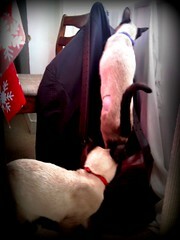 Like a dog, if you cannot be at home for half the day do not have a Siamese cat unless you buy two. This is ideal because they enjoy the company of other cats as well as human company.